18. Jing Liu, Yifan Zhang, Zechao Li, Hanqing Lu and Songde Ma. "Correlation Consistency Constrained Probabilistic Matrix Factorization for Social Tag Refinement". Neurocomputing 119: 3-9, 2013. 20. Tianzhu Zhang, Jing Liu, Si Liu, Changsheng Xu, Hanqing Lu, Boosted Exemplar Learning for Action Recognition and Annotation, IEEE Transactions on Circuits and Systems for Video Technology (T-CSVT), 21(7), 2011, pp853-866. 22. Jing Liu*, Changsheng Xu, Hanqing Lu, Cross-media retrieval: state-of-the-art and open issues, International Journal of Multimedia Intelligence and Security, 2010,1(1), pp 33-52. 23. Jing Liu*, Mingjing Li, Qingshan Liu, Hanqing Lu, Songde Ma, Image Annotation via Graph Learning, Pattern Recognition, 42(2), 2009, pp 218-228. 24. Jing Liu*, Bin Wang, Hanqing Lu, Songde Ma, A Graph-Based Image Annotation Framework, Pattern Recognition Letters, 29 (4), 2008, pp 407-415. 1. Yong Li, Jing Liu, Yuhang Wang, Hanqing Lu, Songde Ma, Weakly Supervised RBM for Semantic Segmentation, International Joint Conference on Artificial Intelligence (IJCAI), 2015. 2. Yuhang Wang, Jing Liu, Jinqiao Wang, Yong Li, Hanqing Lu, Color Names Learning Using Convolutional Neural Networks, International Conference on Image Processing (ICIP), 2015. 3. Peng Ying, Jing Liu, Hanqing Lu, Songde Ma, Weakly-Supervised Image Semantic Segmentation via Joint Dual Clustering and Dictionary learning, International Conference on Image Processing (ICIP), 2015. 9. Yong Li, Jing Liu, Zechao Li, Yang Liu, Hanqing Lu, Object Co-segmentation via Discriminative Low rank Matrix Recovery, ACM Multimedia Conference (MM), 2013: 749-752. 10. Yu Jiang, Jing Liu, Xi Zhang, Hanqing Lu, Zechao Li, Hanqing Lu, TCRec: Product Recommendation via Exploiting Social-trust Network and Product Category Information, International World Wide Web Conference (WWW) 2013, 233-234. 11. Yang Liu, Jing Liu, Zechao Li, Jin Hui Tang , Hanqing Lu, Weakly-Supervised Dual Clustering for Image Semantic Segmentation, IEEE Computer Vision and Pattern Recognition (CVPR), 2013: 2075-2082. 12. Yu Jiang, Jing Liu, Zechao Li, Hanqing Lu, CoPLSA: Co-Regularized PLSA for Multi-View Clustering, ACCV, 2012. 13. Yang Liu, Jing Liu, Zechao Li, Hanqing Lu, Social Tag Alignment with Image Regions by Sparse Reconstructions , ACM Multimedia Conference (MM), 2012. 14.Zechao Li, Yi Yang, Jing Liu, Xiaofang Zhou and Hanqing Lu. Unsupervised Feature Selection Using Nonnegative Spectral Analysis. Association for the Advancement of Artificial Intelligence (AAAI), 2012. 15. Jing Liu, Chunjie Zhang, Qi Tian, Changsheng Xu, Hanqing Lu and Songde Ma. One Step Beyond Bags of Features: Visual Categorization Using Components. In Proceedings of IEEE International Conference on Image Processing, 2011, pp 2465-2468. 16. Zechao Li, Meng Wang, Jing Liu, Changsheng Xu, Hanqing Lu, News Contextualization with Geographic and Visual Information, ACM Multimedia Conference (MM), 2011, pp 133-142. 17. Chunjie Zhang, Jing Liu, Qi Tian, Changsheng Xu, Hanqing Lu and Songde Ma. Image Classification by Non-Negative Sparse Coding, Low-Rank and Sparse Decomposition. IEEE Computer Vision and Pattern Recognition (CVPR), 2011, pp 1673-1680. 18. Zechao Li, Jing Liu, Xiaobin Zhu, Hanqing Lu, Multi-Modal Multi-Correlation Person-Centric News Retrieval, the ACM Conference on Information and Knowledge Management (CIKM), 2010, pp 179-188. 19. Chunjie Zhang, Jing Liu, Qi Tian, Changsheng Xu, Hanqing Lu, Image Classification Using Spatial Pyramid Coding and Visual Word Reweighting, The Tenth Asian Conference on Computer Vision (ACCV), 2010. 20. Haoyang Ding, Jing Liu, Hanqing Lu, Hierarchical Clustering-Based Navigation of Image Search Results, Proceedings of the ACM Multimedia Conference, 2008. 21. Jing Liu, Bin Wang, Mingjing Li, Zhiwei Li, Weiying Ma, Hanqing Lu, Songde Ma, Dual Cross-Media Relevance Model for Image Annotation, Proceedings of the ACM Multimedia Conference, 2007, pp 605-614. 22. Jing Liu, Zhiwei Li, Mingjing Li, Hanqing Lu, Songde Ma, Human Behavior Consistent Relevance Feedback Model for Image Retrieval, Proceedings of the ACM Multimedia Conference, 2007, pp 269-272. 23. 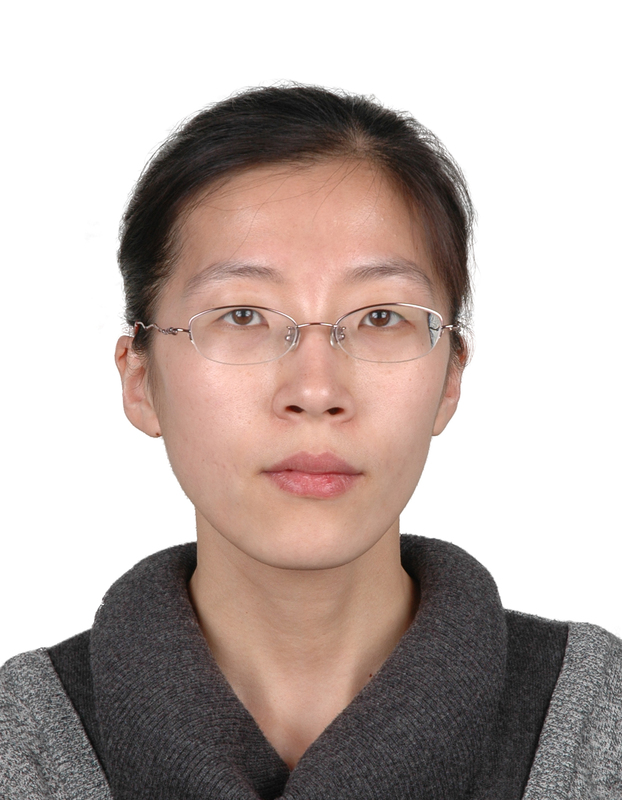 Jing Liu, Mingjing Li, Qingshan Liu, Hanqing Lu, Songde Ma, Image Annotation Refinement Using NSC-Based Word Correlation, IEEE International Conference on Multimedia And Expo., 2007, pp 799-802. 24. Jing Liu, Mingjing Li, Weiying Ma, Qingshan Liu, and Hanqing Lu, An Adaptive Graph Model for Automatic Image Annotation, ACM Workshop on Multimedia Information Retrieval, 2006, pp 62-69. 25. Jing Liu, Qingshan Liu, Jinqiao Wang, Hanqing Lu, Web Image Mining based on Modeling Concept-Sensitive Salient Regions, IEEE International Conference on Multimedia And Expo., 2006, pp 505-508.